“Putting your innermost thoughts to paper releases intense feelings including guilt, sadness, or anger– emotions that can impede your body’s ability to heal” – Joshua Smyth, Ph.D.
Few tools expose us to the inner workings of our mind and body like the simple act of writing. By jotting down one’s thoughts and feelings freely in a journal, a form of release is achieved as the body and brain no longer have to hold onto the emotions carried through words. Everyone needs a creative outlet. 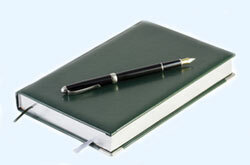 A daily practice of journaling could be the outlet that helps your spirit shine. Writing as a form of release has been shown to improve immune function and decrease the stress response, making it a helpful treatment for many chronic illnesses including IBS, fibromyalgia, HIV, arthritis, and more. The Expressive Writing Method – follow this video from Professor James Pennebaker [www.youtube.com/watch?v=XsHIV9PxAV4] to release traumas through personal expression. Destroy The Evidence – some of the keys of writing as a form of release are to be honest, specific and to not worry at all about grammar or whether or not someone will read your words. One of the best ways to resolve any fears you have about being totally unrestricted with your expression is to destroy the evidence. You can shred or burn the pages after a 30 minute writing session so that you feel completely free. You can even make this action part of a regular ritual of letting go timed with the occurrence of a full moon. For additional tools and writing suggestions please see the resources that follow. Emotional and physical health benefits of expressive writing – http://apt.rcpsych.org/content/11/5/338.full?sid=7b61fc4f-2a43-4597-a546-4581a67a0507 – a full text research article including the basics for writing exercises, along with the effects. ‘Expressive Writing’ Is A Super Easy Way To Become Way Happier – http://www.businessinsider.com/the-positive-effects-of-journaling-and-expressive-writing-2014-5#ixzz34p7kqflD – Business Insider article by Drake Baer. The Health Benefits of Journaling – http://psychcentral.com/lib/2006/the-health-benefits-of-journaling/ – an article by Maud Purcell, LCSW, CEAP outlining the benefits of journaling. *The site PsychCentral.com is funded by advertising, but offers great information on mental health concerns. Inspired to Journal – http://inspiredtojournal.net/ – a simple site with journaling tips and prompts. The Write Way to Wellness – www.kripalu.org/article/836/ – an article describing the 10 ways writing aids health along with helpful suggestions for writing exercises. Writing and Health – http://homepage.psy.utexas.edu/homepage/Faculty/Pennebaker/Home2000/WritingandHealth.html a web page from James W. Pennebaker, author and expert. Anne L. Day, MA, RN, CMT, HNC, CHTP/I. The Journal as a Guide for the Healing Journey. Holistic Nursing Care. March 2001. pgs 131-141. Rakel, D., Muller, D. (2004). Chapter 29: Integrative Approach to Rheumatology in Integrative Medicine. McGraw Hill Companies. Smyth, J.M., Pennebaker J.W. Exploring the boundary conditions of expressive writing: In search of the right recipe. British Journal of Health Psychology November 21, 2007. Spencer, R. Write and heal: to reduce stress and find inner peace, sharpen a pencil and start writing.Natural Health. Feb 2009 v39 i2.